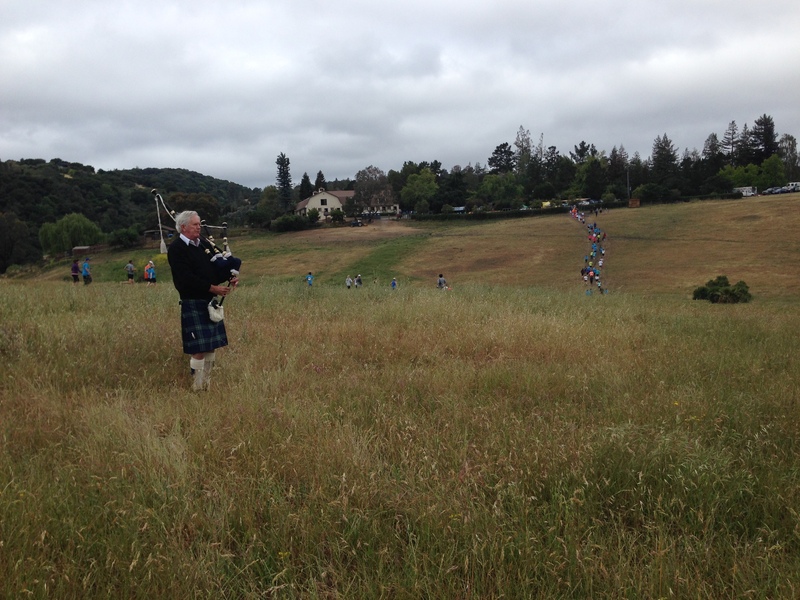 Nearly 550 registered for the 2015 Pathways run/Walk and experienced everything from Bagpipers while running challenging Los Altos Hills Pathways! Check the results page for complete race results. Individual runner photos by Jay of Experiential Endeavors (over 700 photos!) – Click here to view the photos! 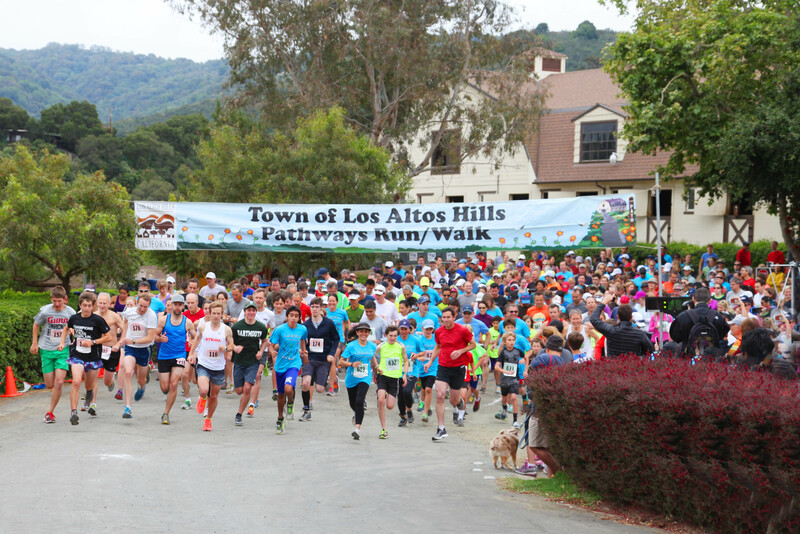 Come out for the 14th Annual Los Altos Hills Pathways Run/Walk and explore, and discover the Los Altos Hills Pathways Wildflowers! This year we celebrate the variety and color of the local native wildflowers that bring our pathways alive with color every spring and summer. Impress your friends with your wildflower botanical expertize by quick identification of LAH Pathways blue eyed grass, buttercup, lupine and other wild flowers. This year, motivational musicians like Scottish bagpipers in kilts will be out on the course to keep you running! RUN WILD with other LAH pathways runners on this year’s annual Pathways run. Feel free to wear your wildest running attire with leopard spots to get into the wild spirit. Zebra tights are not only permissible but encouraged. Dressing up like a wild flower will earn you extra kudos. 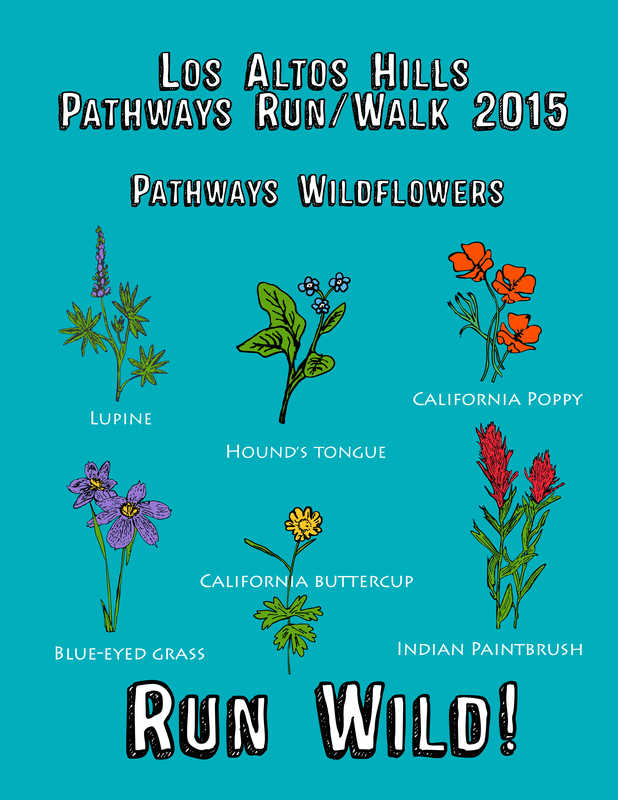 A special Los Altos Hills Pathways Wildflower identification shirt will be provided to all Pathways Run/Walk pre-registrants to help with your discoveries. 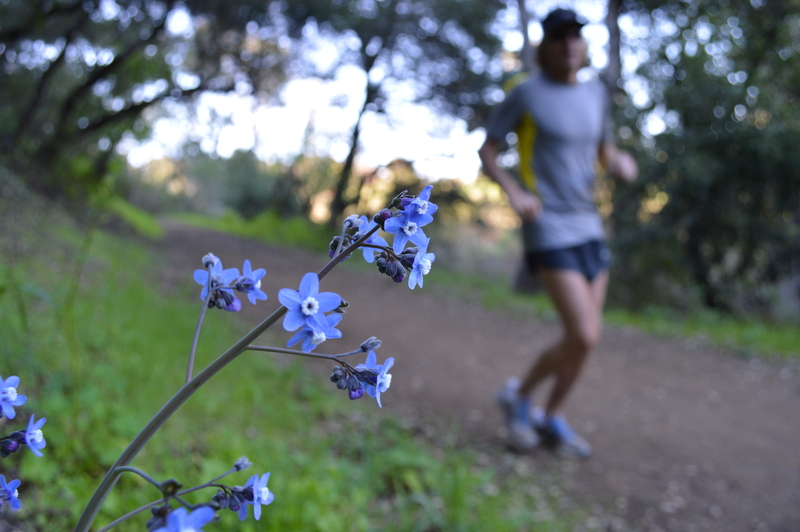 This is a great events for all types of runners and walkers, for those wishing to get out walk or hike some local trails to elite, high performance athletes wishing to run one of the more challenging 10K courses in California or something in between. Many kids and adults have started their running careers at this event, so you can too! This annual event begins at the Westwind Community Barn, runs through the Byrne Preserve and extends into the Los Altos Hills Pathways system. The run features a hilly and challenging 5K and 10K Pathways Run/Walk and a 1-Mile Fun Run. To register, volunteer or for more information contact Sarah Gualtieri 650-947-2518, sgualtieri@losaltoshills.ca.gov. PHOTO SPHERE of LAH Pathways Course! Photosphere Image #2 – Hilltop view near Westwind Barn by finishing last 1/4 mile.